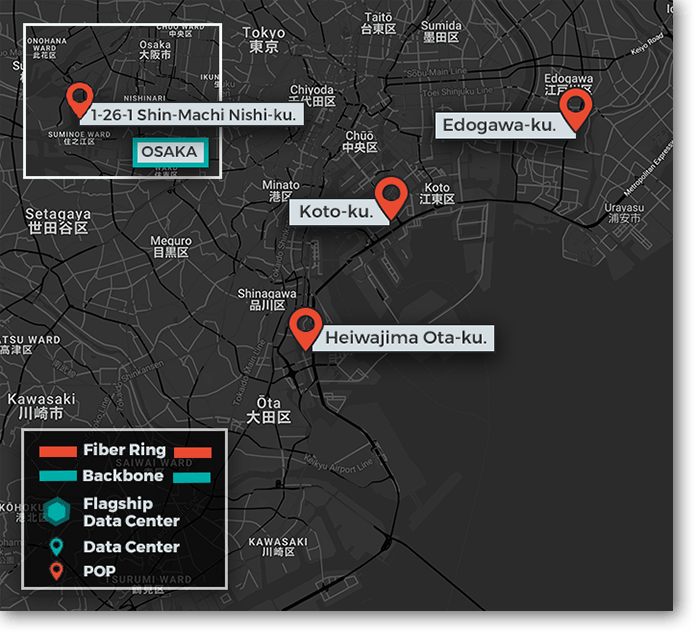 Interested in more information or a tour of our TOKYO/OSAKA data centers? Tokyo is home to the the largest metropolitan economy in the world, making it one of the world’s most prominent business centers and home to more than 50 of the Fortune Global 500. Osaka is close behind as the second largest metropolitan area in Japan. INAP data centers ensure connectivity throughout the country and beyond. They’re operated by INAP Japan, a joint venture between INAP and Japan’s leading carrier, NTT, and they feature completely bilingual NOC staff, available 24/7/365.